If you've always wanted to visit the Great Wall of China, but haven't yet pulled the trigger on booking a trip, now may be your moment. That's because, if you luck out, you could not only win a free trip there, but also get the chance to crash on it for a night thanks to Airbnb, which is offering a handful of people the opportunity to stay on the 2,600-year-old wonder of the world. 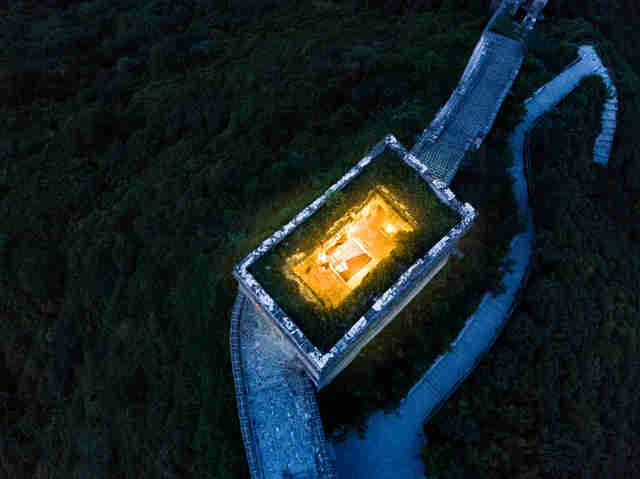 To set up these special overnights, Airbnb teamed up with the folks at the Beijing Tourism Development Committee and built out a luxe open-air campsite inside a centuries-old tower along the Wall with 360-degree views of the surrounding area. It's a pretty incredible vista, and made even more majestic by the fact you'd be among the first people to ever have a sleepover on the renowned landmark. The only catch is there will only be four winners in the giveaway, each of whom will be able to bring a guest on the big trip, which is set to take place in September. Besides your historic slumber in the one-of-a-kind digs, you'll also be treated to a host of special activities in addition to your short hike to the Airbnb. For one, once you've settled in for the evening, you'll feast on a multi-course gourmet dinner that showcases Chinese culture and tradition while enjoying a private traditional Chinese concert. 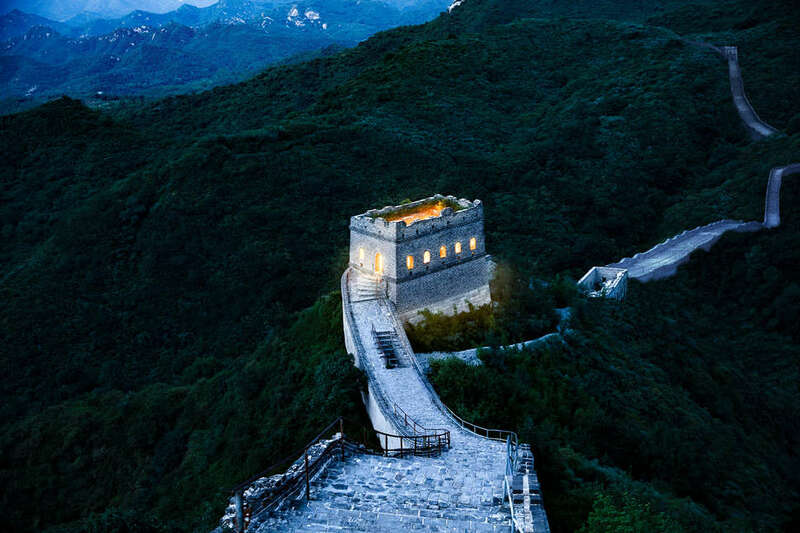 In the morning, you'll be able to hike up to the tallest watchtower to take in the sunrise before checking out some experiences offered on Airbnb, like learning how to do Chinese seal-engraving or calligraphy. Or you could just chill and take in the Wall some more. Totally up to you. To enter the contest, which includes round-trip airfare for you and a guest from anywhere in the world, all you need to do is head to the official Great Wall listing and respond to the following prompt by the August 11 deadline: Why is it more important now than ever to break down barriers between cultures? How would you want to build new connections? Winners will be selected on August 13 and notified via Airbnb within 24 hours. To win, you'll also need to be available to travel to Beijing between September 3-9, and your Airbnb account needs to be in good standing (hopefully, you didn't trash your last host's place). If you don't manage to score a stay at the Wall, you'll have other opportunities to crash in an especially cool spot on Airbnb's dime in the future. 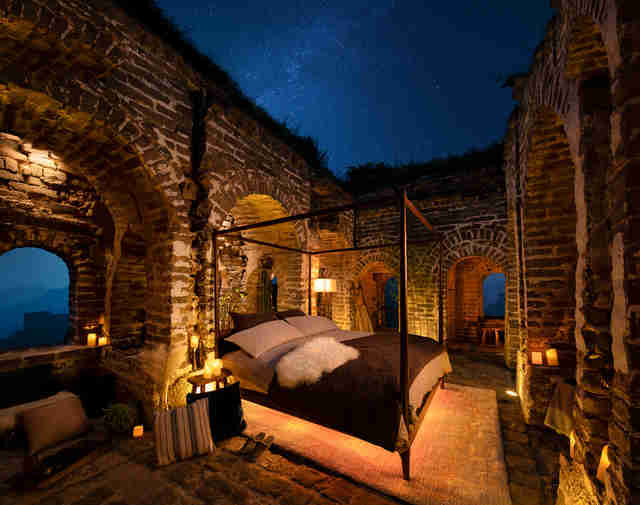 The company has hosted a number of special "Night Of" one-off stays in pretty spectacular locales like the Catacombs of Paris and the Guinness Storehouse. UPDATE 8/8: Airbnb called off the competition after it received mixed reactions on Chinese social media, with some arguing that allowing people to stay on the Great Wall overnight not only exploits its historic significance for PR purposes, but may contribute to its degradation. In a statement posted online announcing the cancellation, Airbnb said that it "deeply respect[s] the feedback" and "made the decision to not move forward with this event."